Achieving a professional career changes from a dream to a plan with DLW Mentor. Dream Learn Work takes participants one step closer to work through our new program. The first mentees find that mentoring gives them increased confidence and the courage to dream bigger dreams – as well as a plan to take the first steps towards realizing them. To have a qualification like a welder, electrician, mechanic or an engineer or administrator is the basis for a professional career. However, many young people from disadvantaged backgrounds find it very hard to get a good idea of what awaits them at work, and even more importantly, how to get into the job market. DLW Mentor aims to connect our participants with people with experience. The goal is to increase job rates. DLW Mentor has two parts, internal and external mentoring. DLWers early on in their raining are often in doubt about which path to follow. Mentoring by employees in DLW help them get going. External mentors support youngsters closer to the job market. Mentors are volunteers from companies that wish to share their experiences with a young person starting out and help them take the first steps to realising their careers. 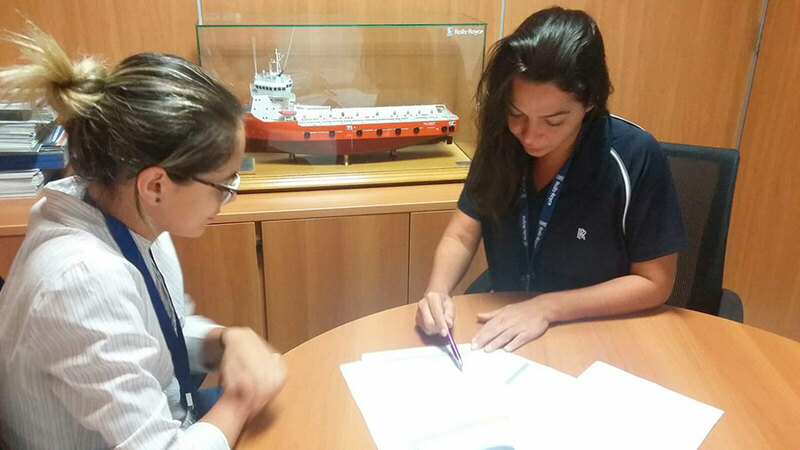 In 2015, Dream Learn Work has established a mentoring pilot with our corporate partner Rolls-Royce Marine. Four DLWers are mentored by employees at the Rolls-Royce Marine base in Niteroi, Rio de Janeiro. Vanessa, one of our mentees says the program has helped her gain confidence to dream about a better future. For the mentors it is a special and rewarding experience to be working with young people and to see that their support makes a big difference. Norwegian Statoil has also supported the development of the program. DLW Mentor has been underway for over a year, and includes workshops with HR professionals, pilot mentoring in companies as well as mentoring internally in DLW. “The DLW Mentor Program helps young people explore and develop their professional opportunities through meaningful mentoring by engaged professionals. 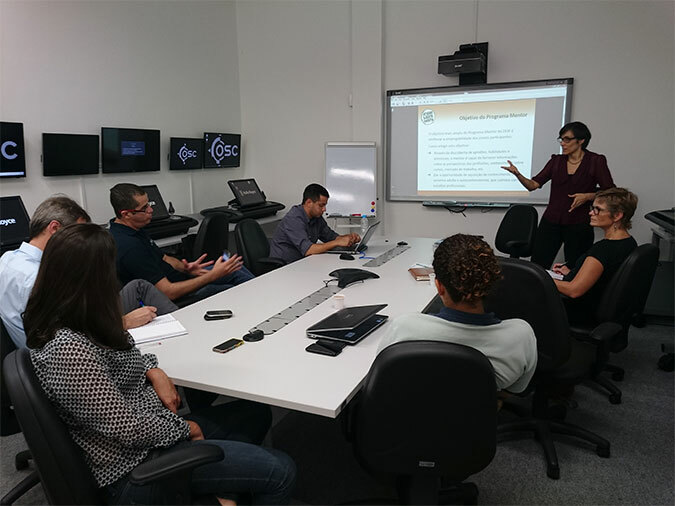 The objective of the program is to improve employability of young jobseekers, bringing them closer to the labour market, “ DLW recruitment coordinator Ana Luiza Carboni-Brito explains about the newly developed program. Ana has 15 years of experience in human resources and mentoring. Through a mentoring program it will be easier to identify what the student wants to achieve in the future. The mentor will together with the mentee find solutions on how to reach the dream. We focus on the benefits of the three parts involved: mentors, mentee and company. 3. Develop leadership and people management skills. Through the program companies are able to recruit from a pool of young qualified students, becoming a recruitment channel, develop employees skills and increase employee engagement.